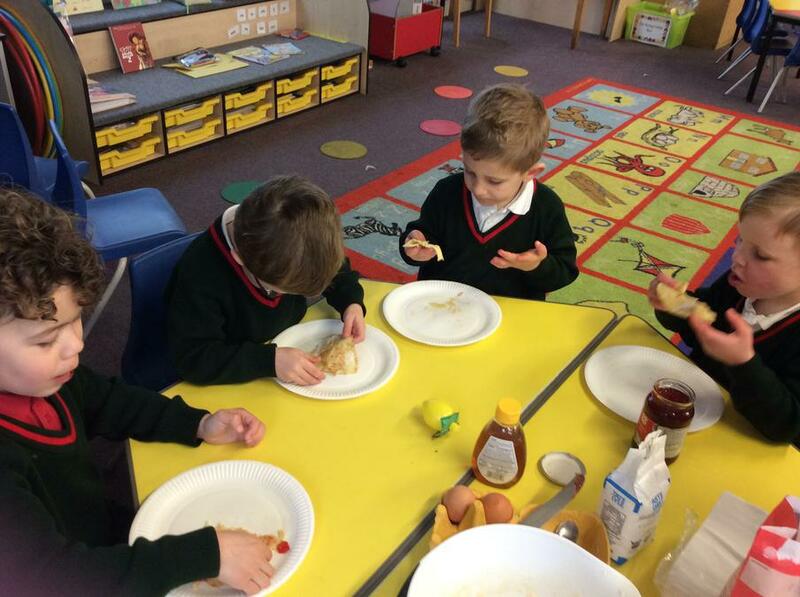 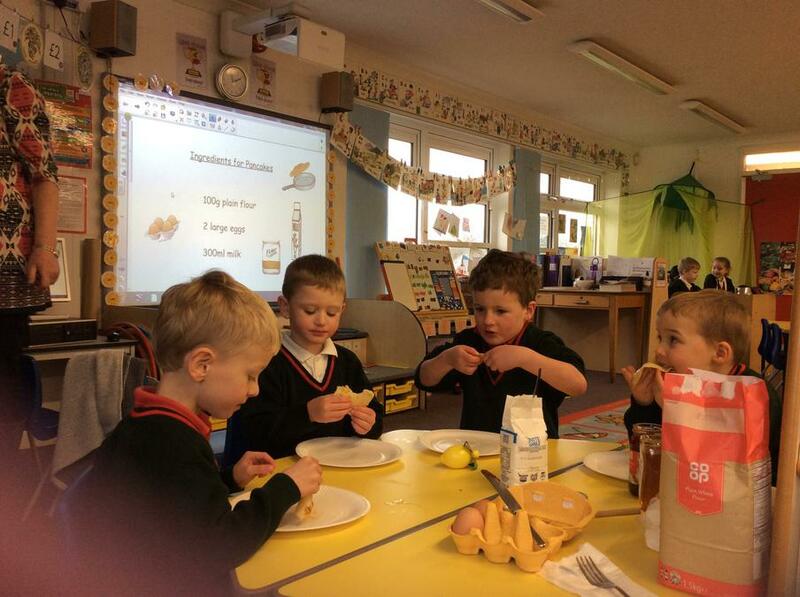 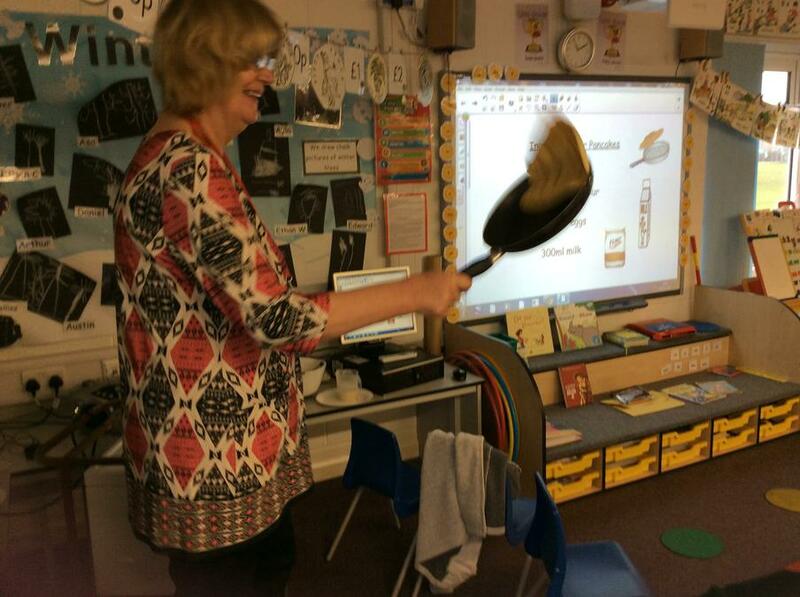 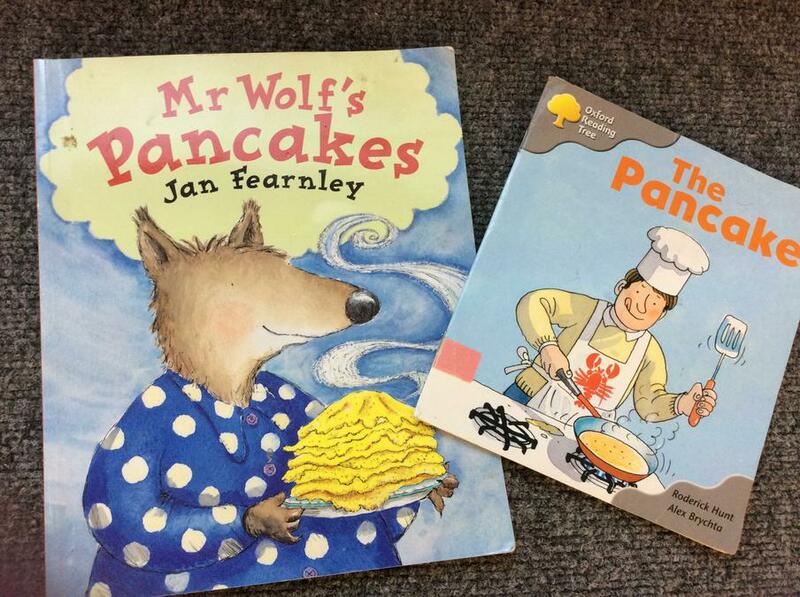 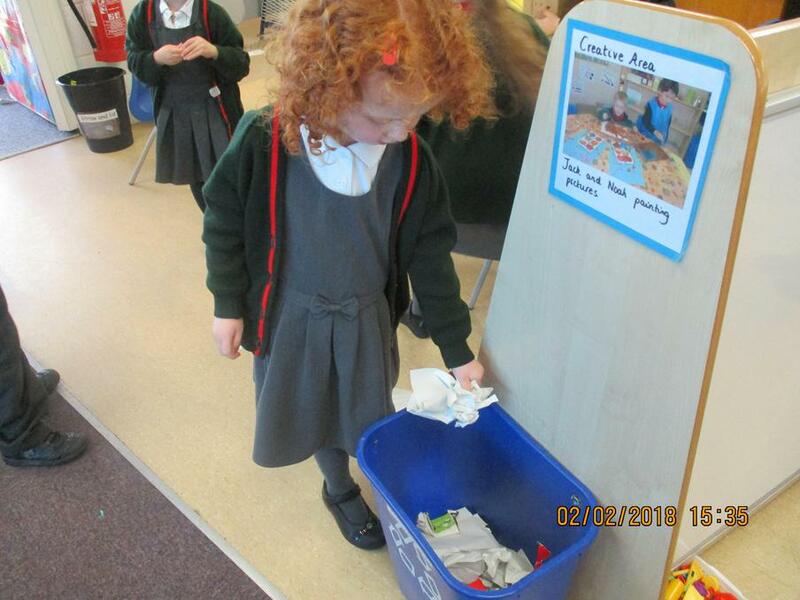 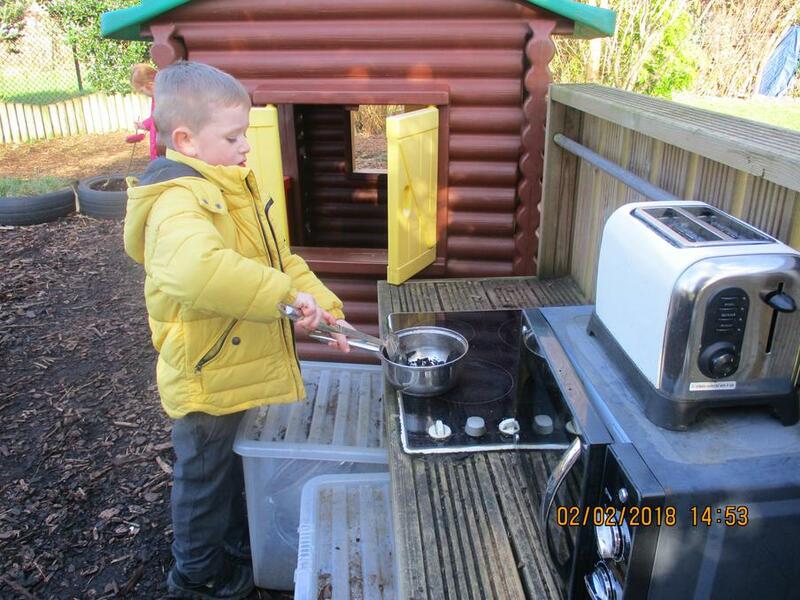 This week the children have enjoyed celebrating an early pancake day. 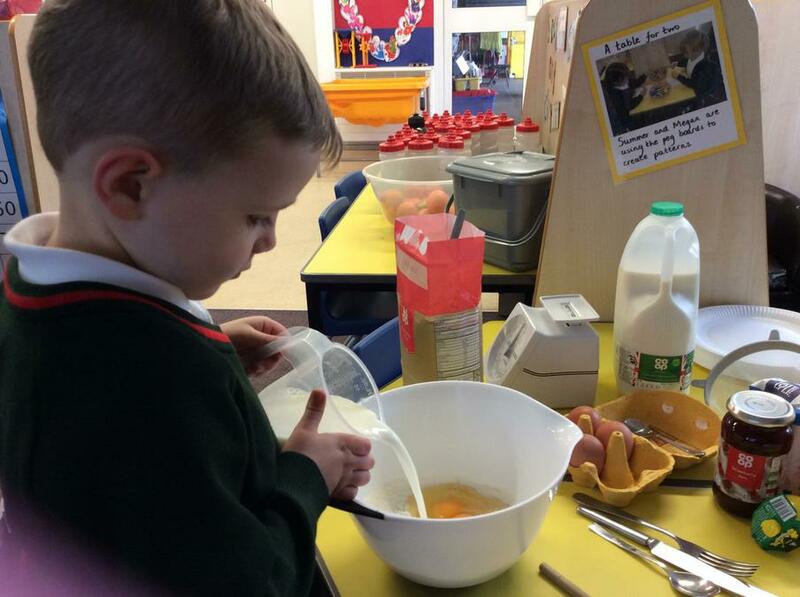 We begun by sharing different stories about making pancakes, then the children wrote a list of ingredients that we would need. 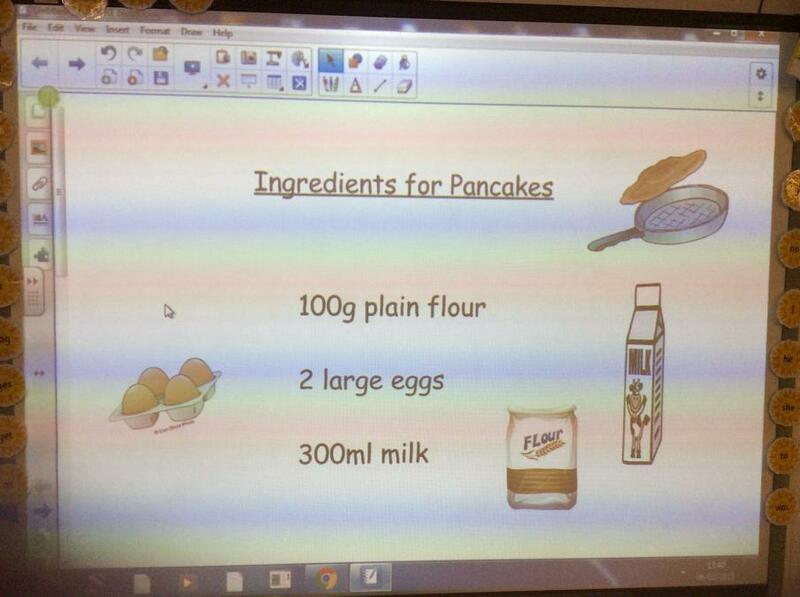 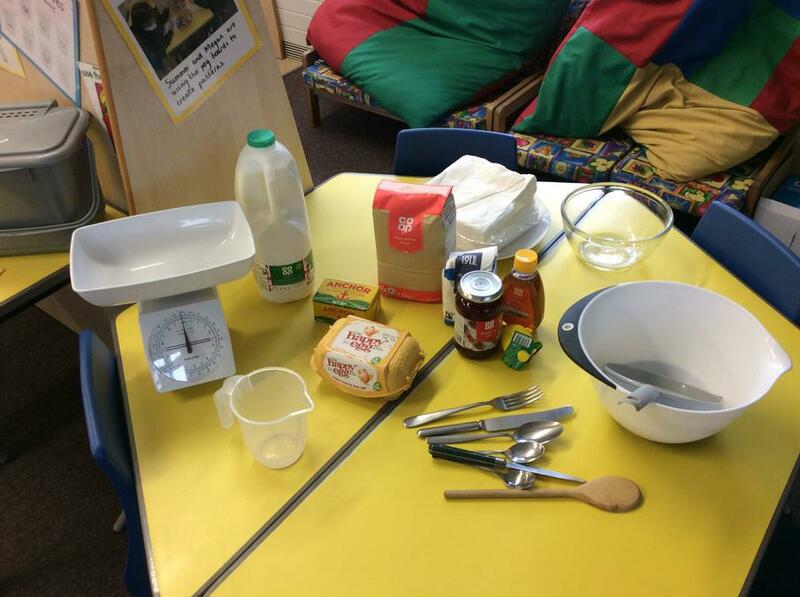 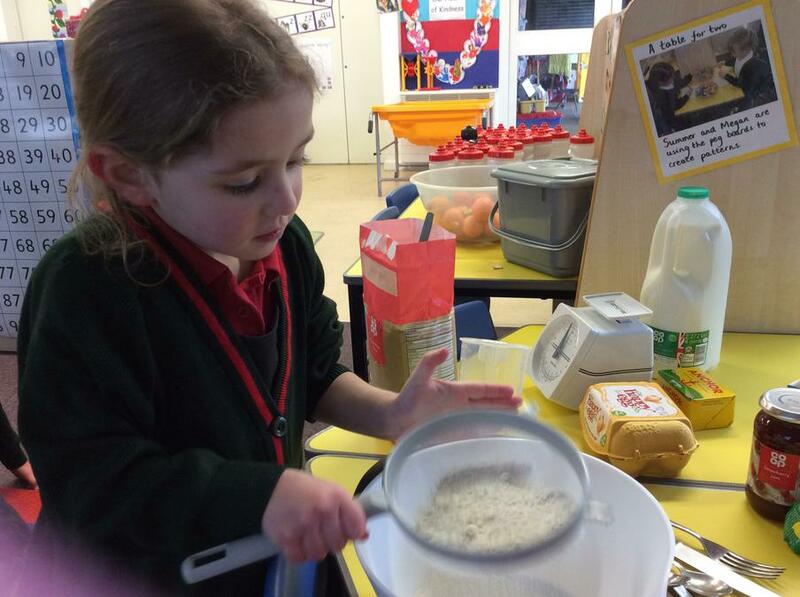 The children helped to weigh out and measure the different ingredients and mix them together to create our batter. 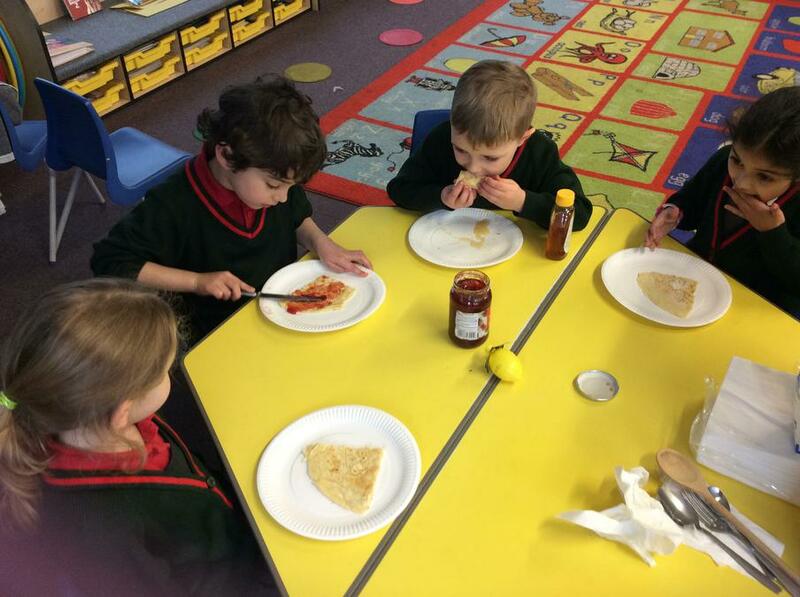 Finally, they added their favourite topping and enjoyed sharing the pancakes with their friends. 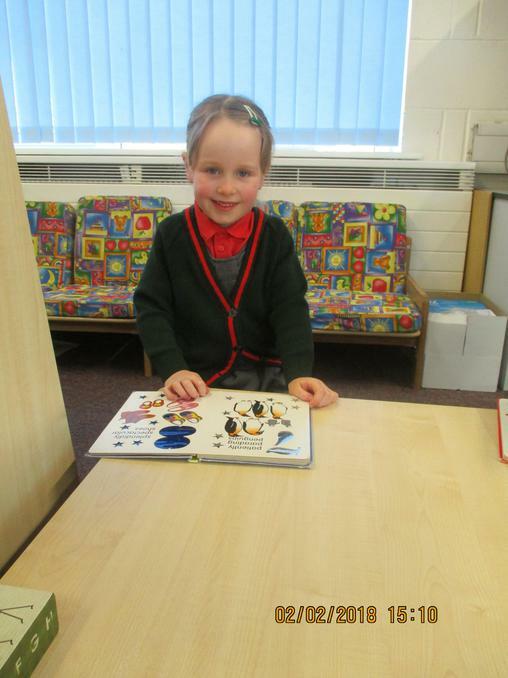 Over the last two weeks, the children have been looking at the story of Ronald the Rhino. 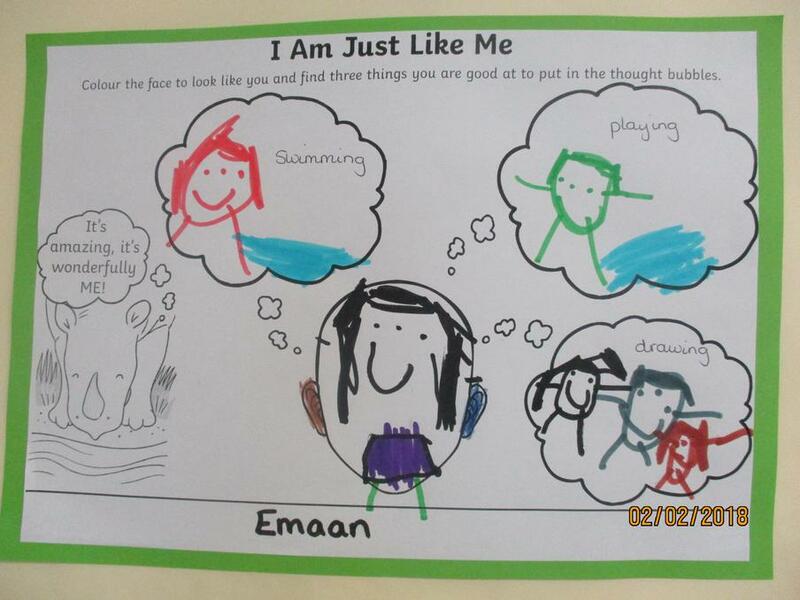 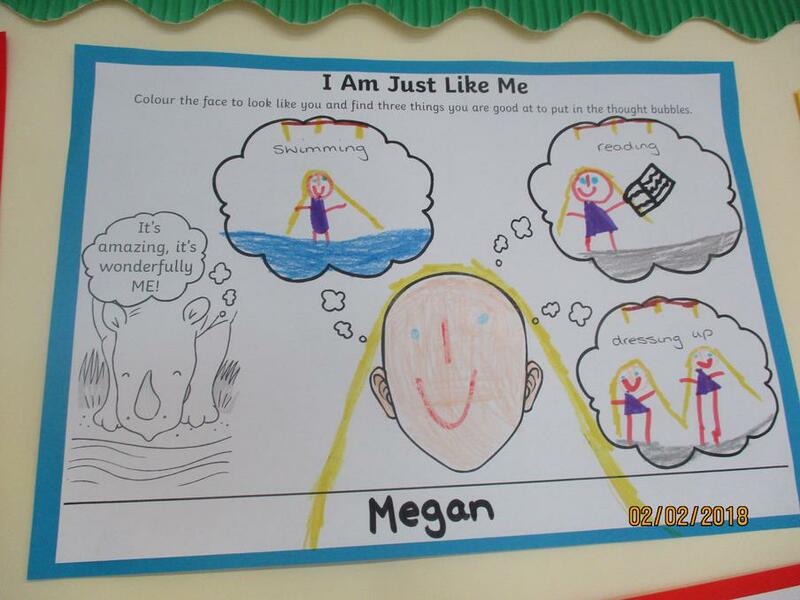 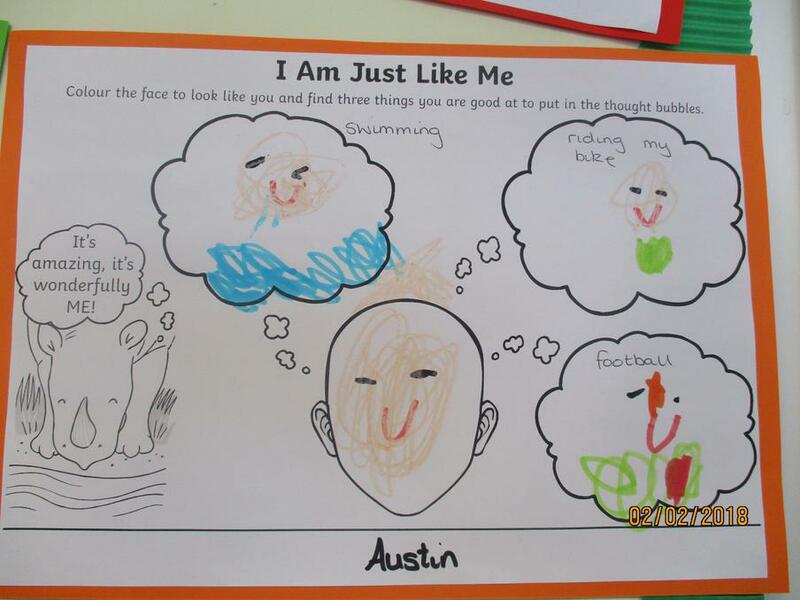 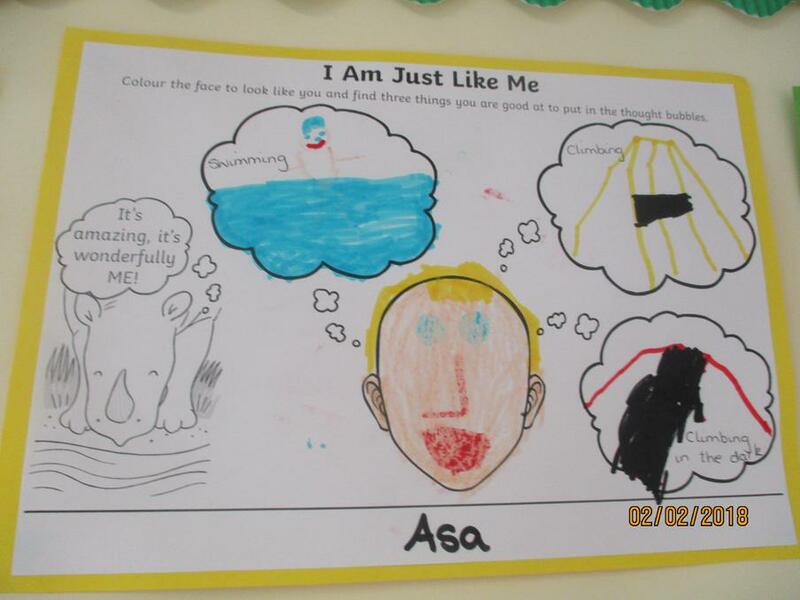 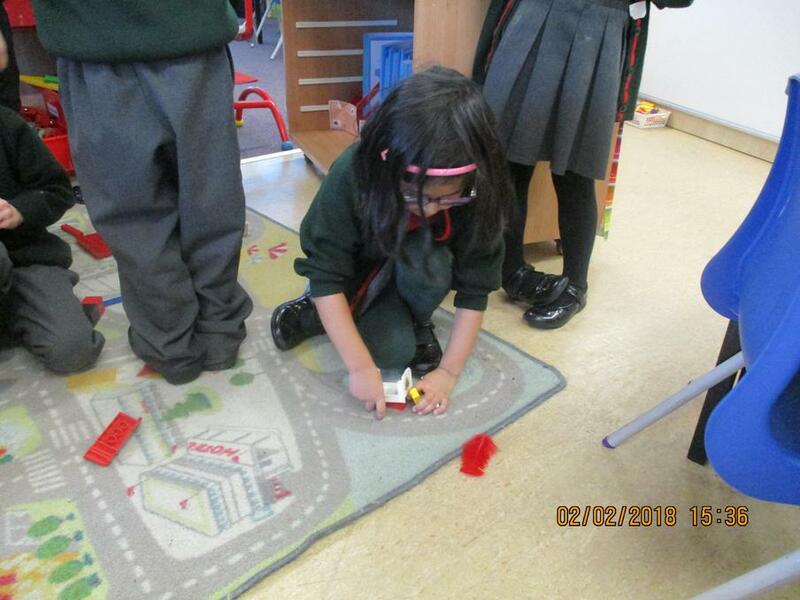 This story has helped the children to think about what makes them unique. 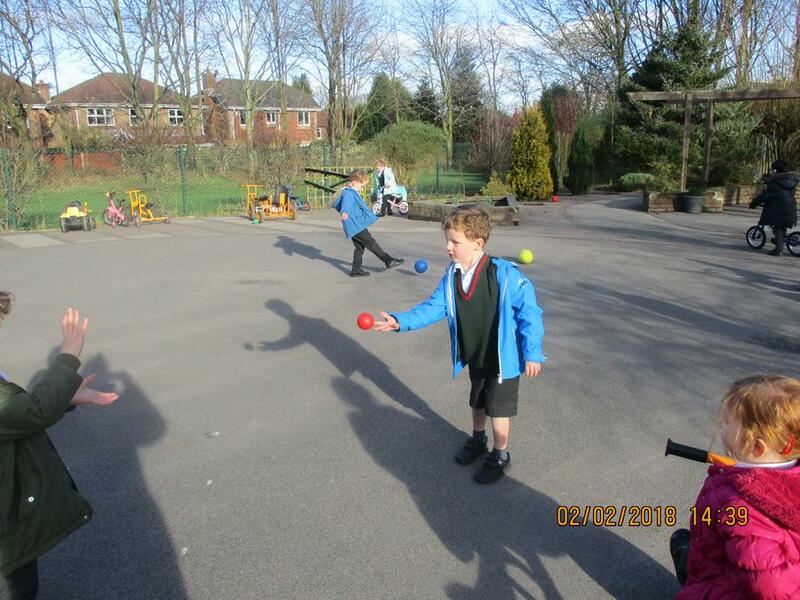 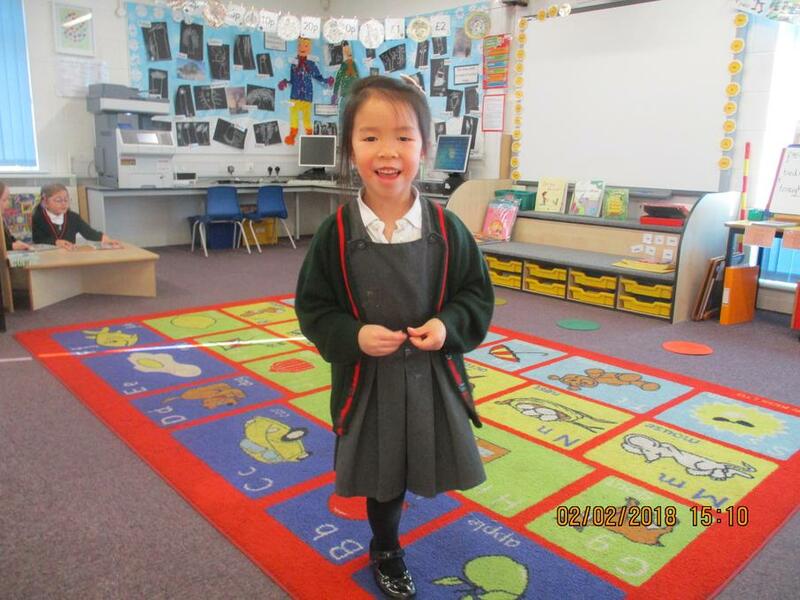 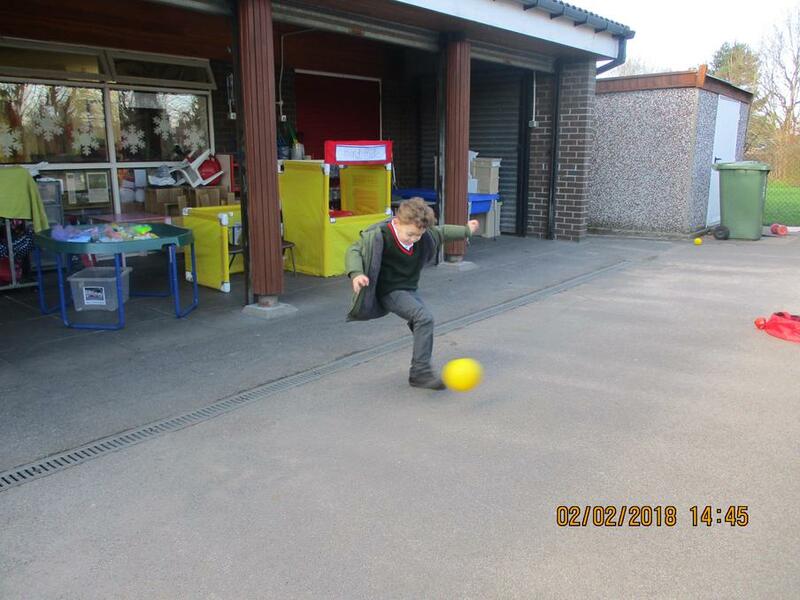 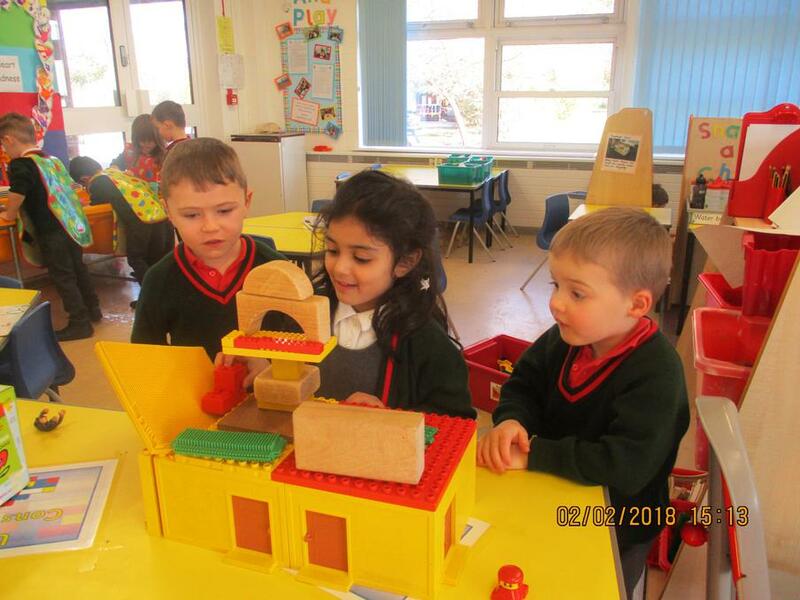 The children have talked about the different things that they can do well, and have enjoyed showing off their skills to their friends. 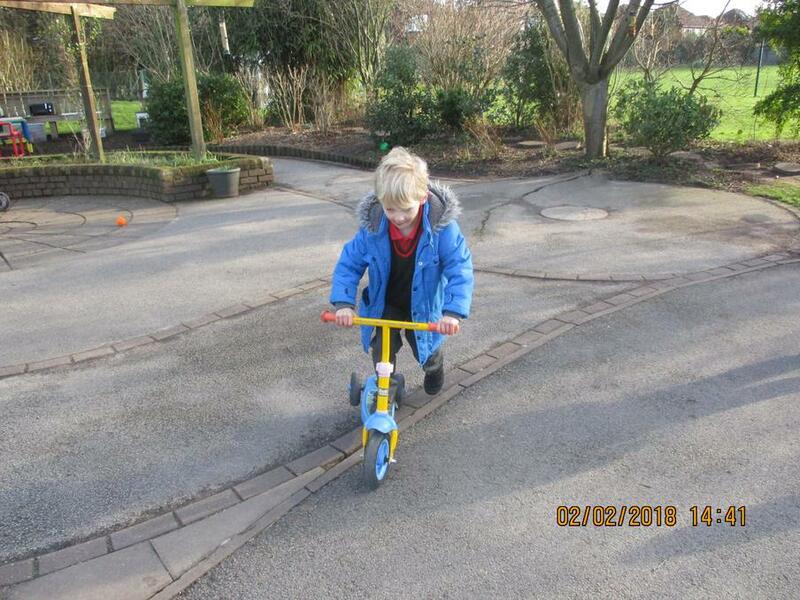 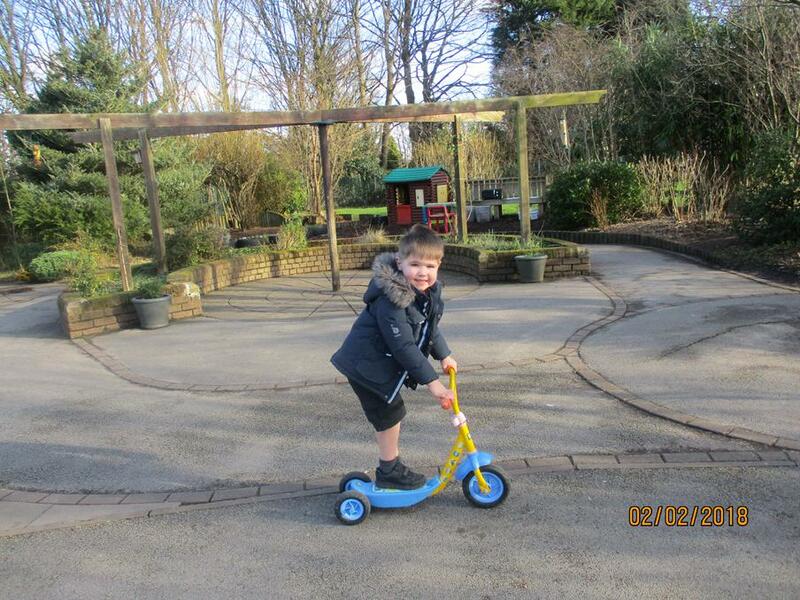 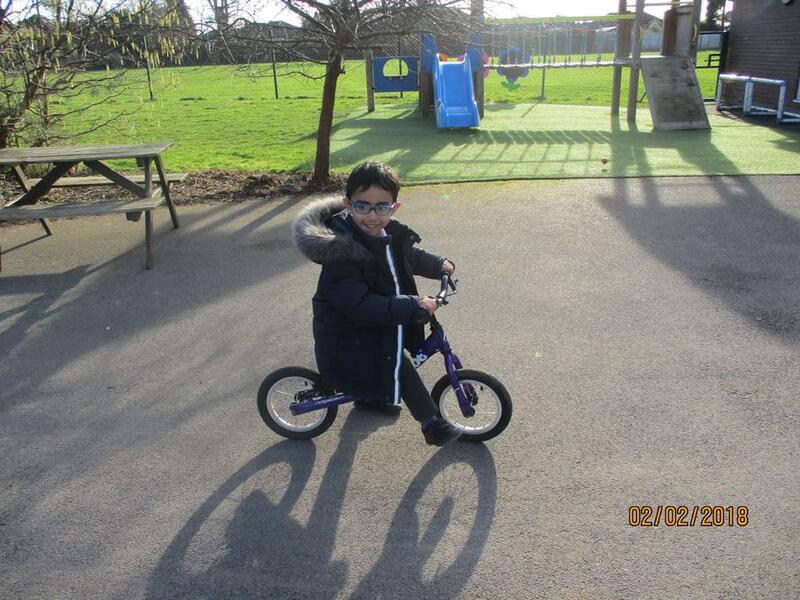 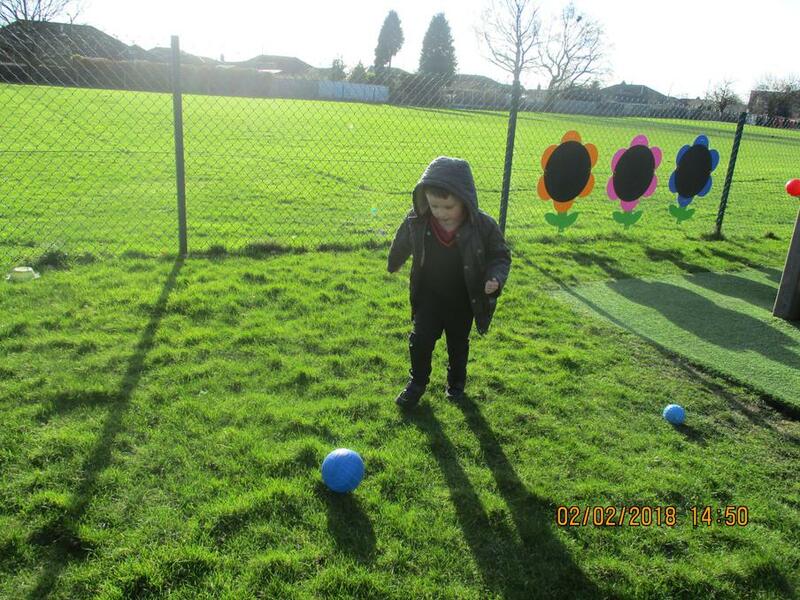 Today in Stretch-n-Grow the children have been taking part in Nursery Rhyme Circuit Training. 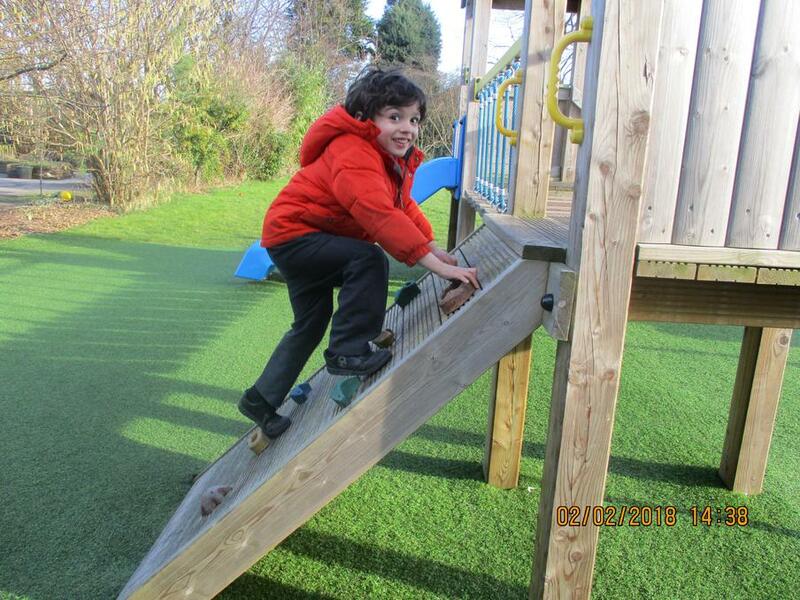 The children have enjoyed doing star jumps, log rolls, climbing, leaping, throwing and catching and doing press ups - Wow!